Harvard Model United Nations is an annual conference organized by Harvard students which attracts high school students from around the country and around the world. At HMUN, delegates gain insight into the workings of the United Nations and the dynamics of international relations by assuming the roles of UN representatives and members of other international bodies and national cabinets. 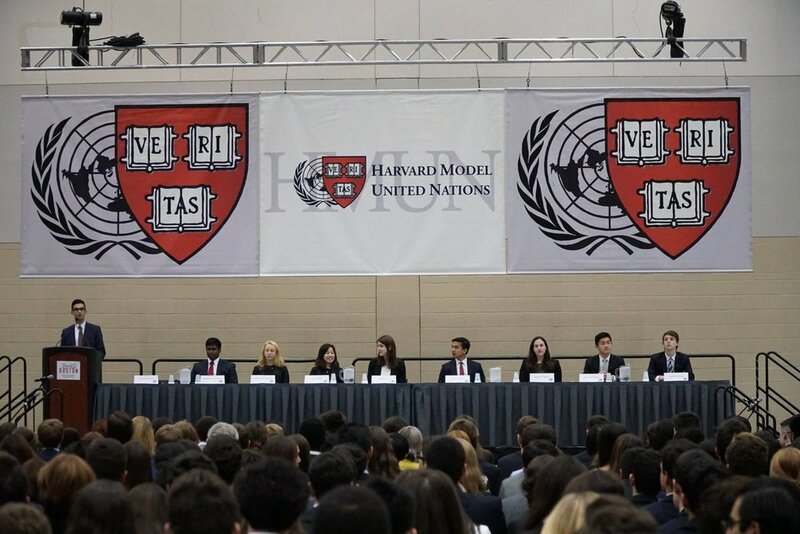 HMUN is an exciting opportunity for students to debate issues that confront world leaders and to draft resolutions in response to these global issues. Participants develop their abilities to work with others who are equally motivated and passionate about the topics of debate and to respond to global concerns. In 1927, Harvard held its first annual Model League of Nations, followed by the first Model United Nations conference in 1953. This longevity and the dynamic that only a conference of our size can provide make HMUN the preeminent simulation of its kind in the world.